View all of the available books in our collections below. 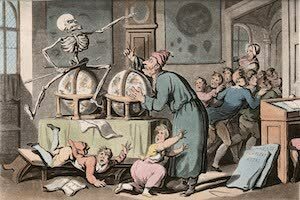 A General History of the Robberies and Murders of the most notorious Pyrates is a 1724 book published in Britain containing biographies of contemporary pirates. 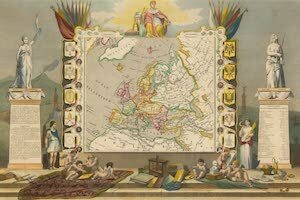 In 1804 Sir John Carr traveled around the Baltic through Denmark, Sweden, Russia, Prussia, and part of Germany where he made illustrations along the way. 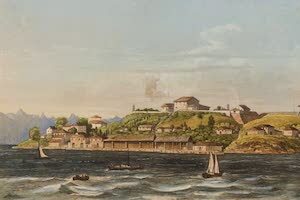 During his stay on Jamaica, painter James Hakewill created great views of local scenery like Kingston and Port Royal which were later published in this book. Translated from the original French, this beautifully illustrated work features dozens of aquatint views of Roman ruins and landscapes in the city of Rome. Robert Elwes was a painter who travelled extensively in his twenties and thirties, but in 1848 he embarked on a journey that was to take him round the world. This book contains the account of Sir John Ross's first voyage to the Arctic in search of the Northwest Passage. Wonderfully illustrated with arctic scenery. John Barrow was a traveler with the diplomatic mission to Cochin China, now known as Vietnam. 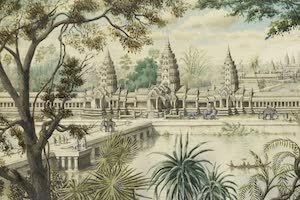 He recounted his travels around the world in this aquatint book. 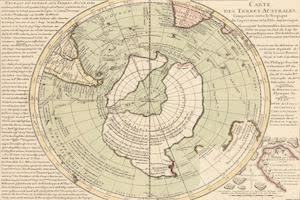 This illustrated book describes the voyage of James Weddell to Antarctica. Reaching further south than anyone before him he discovered the Weddell Sea and more. Ida Pfeiffer was an Austrian traveler who published this important account of her voyages around the world. Beautifully illustrated with views of scenery. In 1816 Captain Basil Hall was dispatched on an embassy to China. 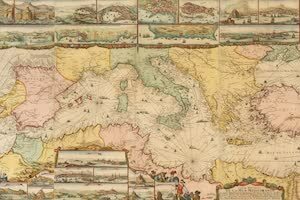 After the diplomatic party landed in Canton, the ships embarked on an exploration voyage. 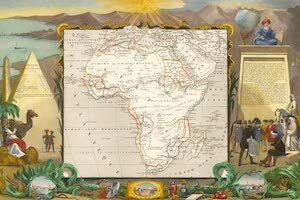 Samuel Daniell published this scarce and valuable large atlas folio of South African illustrations while he accompanied English expeditions as an artist. Edward Beyer was a German artist who visited Virginia in 1854 and over the next few years sketched a number of scenes that would be published in this book. 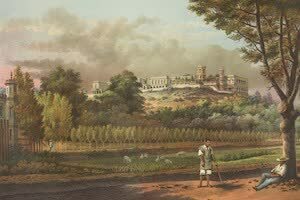 Pierre Toussaint Frederic Mialhe lived in Cuba from 1838-54 working for the Real Sociedad Patriotica printing firm to create a pictorial record of the island. The first volume of the account of William Bartlett and Nathanial Willis as they traveled around the new United States and depicted and described local scenery. The second volume of the account of William Bartlett and Nathanial Willis as they traveled around the United States and depicted and described local scenery. 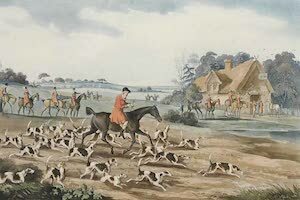 George Barrington was an infamous English criminal sent to Australia who used his notoriety to publish books on the new colony for an eager audience in England. In 1814 the Peninsular War ended and Britain and her allies were declared victorious over Napoleon. This work commemorates a peace celebration held Hyde Park. Guillermo Dupaix was a Spanish army captain who made three archaeological expeditions with artist Jose Castaneda to Palenque and other Mesoamerican ruins. First volume of Edward King's groundbreaking work on Mesoamerica including manuscript facsimiles, illustrations of ruins, descriptions, history and more. Second volume of Edward King's groundbreaking work on Mesoamerica including manuscript facsimiles, illustrations of ruins, descriptions, history and more. Third volume of Edward King's groundbreaking work on Mesoamerica including manuscript facsimiles, illustrations of ruins, descriptions, history and more. Fourth volume of Edward King's groundbreaking work on Mesoamerica including manuscript facsimiles, illustrations of ruins, descriptions, history and more. Fifth volume of Edward King's groundbreaking work on Mesoamerica including manuscript facsimiles, illustrations of ruins, descriptions, history and more. Sixth volume of Edward King's groundbreaking work on Mesoamerica including manuscript facsimiles, illustrations of ruins, descriptions, history and more. Seventh volume of Edward King's groundbreaking work on Mesoamerica including manuscript facsimiles, illustrations of ruins, descriptions, history and more. Eighth volume of Edward King's groundbreaking work on Mesoamerica including manuscript facsimiles, illustrations of ruins, descriptions, history and more. Ninth volume of Edward King's groundbreaking work on Mesoamerica including manuscript facsimiles, illustrations of ruins, descriptions, history and more. 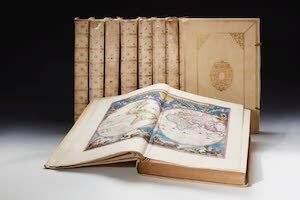 A first edition of the famous atlas produced by Gerard Mercator, a prominent mathematician and cartographer. 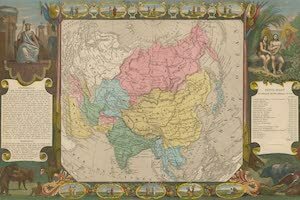 Features hand-colored maps with text of the world. Eugene von Guerard was the first Master of the School of Painting at the National Gallery of Victoria and painted many Australian and New Zealand landscapes. First volume of a history of US wars before the Civil War like the Revolution, fighting against Barbary pirates and more with engravings by Alonzo Chappel. Second volume of a history of US wars before the Civil War like the Revolution, fighting against Barbary pirates and more with engravings by Alonzo Chappel. First volume of the first English translation of Exquemelins De Americaensche Zee-Roovers, first published in Dutch, 1678. Contains stories of the buccaneers. Second volume of the first English translation of Exquemelins De Americaensche Zee-Roovers, first published in Dutch, 1678. Contains stories of the buccaneers. The first volume of an illustrated work describing the travels of William Bartlett in Canada. Depicting places such as Niagara Falls, Montreal, and Toronto. The second volume of an illustrated work describing the travels of William Bartlett in Canada. Depicting places such as Niagara Falls, Montreal, and Toronto. This book contains the account of the South Pole voyage of James Weddell who reached further south than any one else. 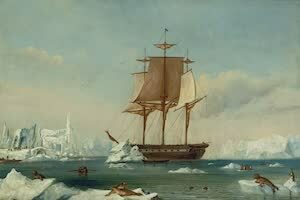 One of the few Antarctica pictorial works. 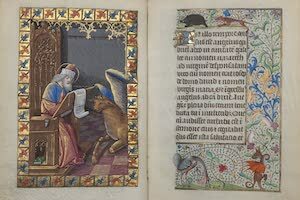 The Chronicon Pictum is a 14th century illuminated manuscript depicting the history of Hungary in the medieval era with brilliantly colored illustrations. A collection of colored plates and other archaeological information from the Museo Nacional de Mexico. Describes both Mesoamerican ruins and other artifacts. This monumental work done for the Columbian Exhibition in Chicago in 1892 contains four books in one volume from various authors associated with the event. 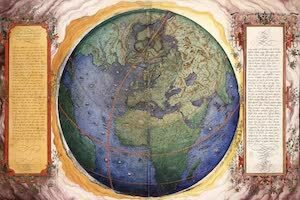 Claudius Ptolemy was a famous Greco-Roman cartographer and mathematician. 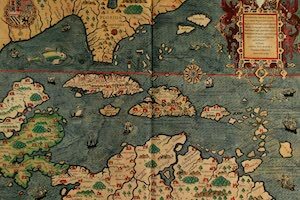 This illuminated manuscript from the 15th century shows his maps and tables in color. 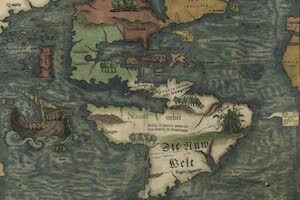 Guillaume Le Testu was a famous French buccaneer and cartographer who was commissioned by the king of France to create this atlas of maps of his explorations. First volume of Francis Orpen Morris's beautifully illustrated publication on the mansions and county seats of Great Britain and Ireland in full vivid color. Second volume of Francis Orpen Morris's beautifully illustrated publication on the mansions and county seats of Great Britain and Ireland in full vivid color. Third volume of Francis Orpen Morris's beautifully illustrated publication on the mansions and county seats of Great Britain and Ireland in full vivid color. Fourth volume of Francis Orpen Morris's beautifully illustrated publication on the mansions and county seats of Great Britain and Ireland in full vivid color. Fifth volume of Francis Orpen Morris's beautifully illustrated publication on the mansions and county seats of Great Britain and Ireland in full vivid color. Sixth volume of Francis Orpen Morris's beautifully illustrated publication on the mansions and county seats of Great Britain and Ireland in full vivid color. 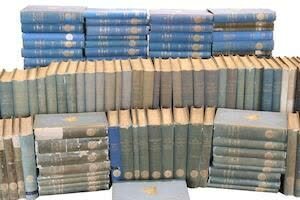 The seventh and final volume of Francis Orpen Morris's work the County Seats of Great Britain and Ireland containing a facsimile of subscribers autographs. Flying Squadrons were unarmored fleets of ships which undertook diplomatic cruises around the world. 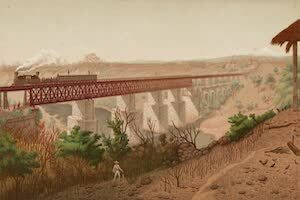 This work describes the 1869-1870 voyage and local scenery. In the summer of 1852 after leaving the navy, Clements Markham embarked on a tour of Peru where he studied Inca history and visited local buildings and places. Frederick Forbes was a British naval officer who went twice to Dahomey in an unsuccessful attempt to end their involvement in the slave trade between 1849-50. Alfred Sketcherly was detained by King Gelele of Dahomey for 8 months after he left to collect zoological specimens in Africa and later published his story. An illustrated history of pirates featuring chromolithographs and a pictorial cloth cover. Contains accounts of Blackbeard, the Barbary pirates and more. Henry Lewis moved to America as a child and traveled the Mississippi region in the 1840s where he sketched the landscape and published later them in a book. The first original Dutch edition of Alexander Exquemelin's "Buccaneers of America". 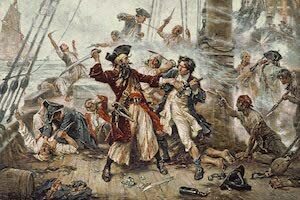 This work recounts the adventures of the buccaneers like Henry Morgan. 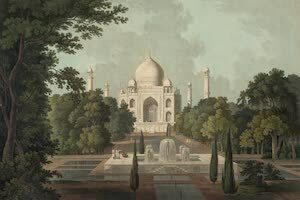 This work was published to coincide with the opening of Fonthill to the public following the announcement of the auction of its treasures by Christie's. This is the first translation into English of the first publication of Antonio del Rio's report on the ruins of Palenque in Mexico which he discovered in 1787. 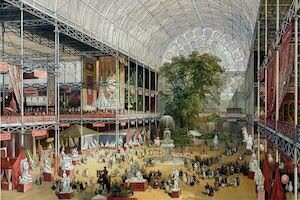 One of the most remarkable works of them all, artist Joseph Nash depicts the 1851 World Fair also known as the Great Exhibition in beautiful color and detail. A German translation of Exquemelin's De Americaensche zee-roovers, first published in Dutch, Amsterdam, 1678. This book relates the history of the buccaneers. The first volume of Henry Youle Hind's illustrated account of explorations in the Labrador Peninsula around the Bay of Seven Islands and the Moisie River. The second volume of Henry Youle Hind's illustrated account of explorations in the Labrador Peninsula around the Bay of Seven Islands and the Moisie River. This important Australian plate book is dedicated to Rear Admiral Bligh and features some of the first accounts of the Australian Aborigines and their culture. 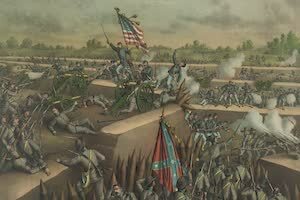 The Second Dragoons was a military unit in the early days of the Republic that fought in the Second Seminole War, Mexican-American War, Civil War and more. This work provides superb depictions of English country house gardens in Victorian times and provides an insight into the estate owner and property style. 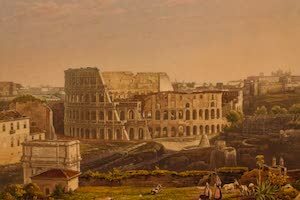 Author and artist John Izard Middleton spent much of his adult life traveling in France and Italy where he extensively sketched Greek and Roman ruins seen here. A collection of papers of early Mexican archaeologist Guillermo Dupaix, a retired army captain who explored the ruins at the behest of the king of Spain. A real western classic, illustrated with tales of cowboys, outlaws, Indian fighting and frontier and pioneer life in general in the old American West. First volume of the first French translation of Exquemelins De Americaensche Zee-Roovers, first published in Dutch, 1678. Contains stories of the buccaneers. Second volume of the first French translation of Exquemelins De Americaensche Zee-Roovers, first published in Dutch, 1678. Contains stories of the buccaneers. First volume of Pyne's work that displays interiors at Windsor Castle, St James Palace, Kensington Palace, Hampton Court, Buckingham House and Frogmore. Second volume of Pyne's work that displays interiors at Windsor Castle, St James Palace, Kensington Palace, Hampton Court, Buckingham House and Frogmore. Third volume of Pyne's work that displays interiors at Windsor Castle, St James Palace, Kensington Palace, Hampton Court, Buckingham House and Frogmore. A collection of lithographic views around the city of Ottawa Canada by artist William Stewart Hunter featuring the Chaudiere Falls, Suspension Bridge and more. Atlas volume of Jacques-Gerard Milbert's publication about his 7 years travels in the United States collecting flora and fauna and making landscape drawings. First volume of Jacques-Gerard Milbert's publication about his 7 years travels in the United States collecting flora and fauna and making landscape drawings. Second volume of Jacques-Gerard Milbert's publication about his 7 years travels in the United States collecting flora and fauna and making landscape drawings. The first volume of Royal Navy officer Charles Stuart Cochrane's work on his travels throughout the country of Colombia in South America between 1823-24. The second volume of Royal Navy officer Charles Stuart Cochrane's work on his travels throughout the country of Colombia in South America between 1823-24. First volume of Mollhausen's account of the Whipple expedition as it traveled from Fort Smith, Arkansas across Oklahoma through the Mohave Desert to California. Second volume of Mollhausens account of the Whipple expedition as it traveled from Fort Smith, Arkansas across Oklahoma through the Mohave Desert to California. Recounts the adventures of the famed pirate Henry Avery who captured a ship belonging to the Great Mogul of India on its way to Mecca loaded with treasure. Thomas Duer Broughton was sent to India as a cadet and later appointed the Commandant of the Cadet Corps, and in 1802 the Military Resident with the Mahattas. Lord Charles Beauclerck was one of the officers in command during the Rebellions of 1837-1838 which were two revolts that took place in Lower and Upper Canada. This illustrated children's book about the Presidents of the United States features biographies as well as engravings and colored pictures of American history. 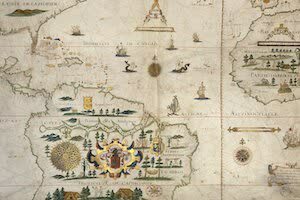 In the 1750's, a group of Portuguese/Brazilian explorers discovered a ruined stone city in the jungles of Brazil and recounted their story in this manuscript. 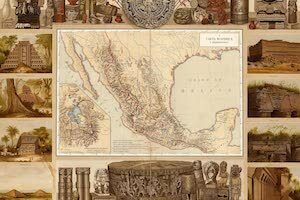 A richly illustrated work about Mexican history both ancient and present with colored and black and white images of artifacts, buildings, scenery and more. 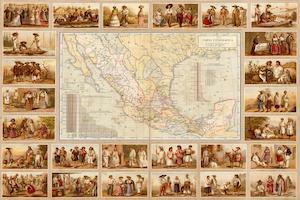 One of the most important illustrated books about Mexico featuring areas around Mexico City as well as depictions of Mexican life such as costumes and more. 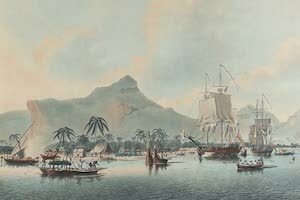 In 1815 Thomas Bowdich was made conductor of a diplomatic mission to Ashantee in modern Ghana by the African Company of Merchants to further British interests. Gustavus Tempsky was a Prussian adventurer who explored the ruins of Mitla as well as other places in the Americas. He later published an illustrated account. 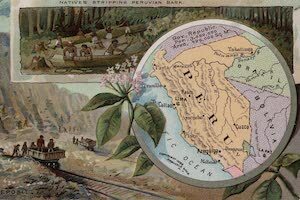 Frank Marryat left England for California via Panama where later he published a sportsman-tourist's adventure chronicle of California in the early 1850s. During the Civil War nurse Mary Livermore became involved with the United States Sanitary Commission and visited army posts and hospitals administering aid. 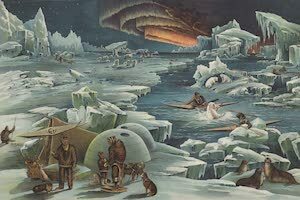 In 1819 a young Lieutenant John Franklin embarked on his first Arctic exploring expedition, traveling overland from Hudson Bay to the shores of the Arctic Sea. First volume of Sir John Ross' account of the second expedition to the arctic in search of the Northwest Passage where they spent 4 years exploring. Second volume of Sir John Ross' account of the second expedition to the arctic in search of the Northwest Passage where they spent 4 years exploring. First volume of naturalist and geologist, Henry Youle Hind's account of the Assinniboine and Saskatchewan Exploring Expedition to explore the Canadian west. Second volume of naturalist and geologist, Henry Youle Hind's account of the Assinniboine and Saskatchewan Exploring Expedition to explore the Canadian west. First volume of Laurence Oliphant's richly illustrated account of the British diplomatic mission under James Bruce, Lord Eglin to China between 1857 and 1859. Second volume of Laurence Oliphant's richly illustrated account of the British diplomatic mission under James Bruce, Lord Eglin to China between 1857 and 1859. First volume of a later edition of George Catlin's excellent work on the North American Indians featuring colored images including scenery and portraits. Second volume of a later edition of George Catlin's excellent work on the North American Indians featuring colored images including scenery and portraits. This illustrated work by Robert Baikie documents the extremely biodiverse Nilgiri Mountains in southern India that features many various flora and fauna. 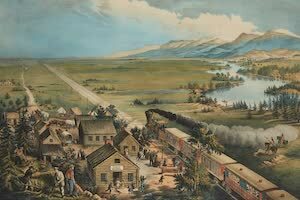 Artist Albert Mathews arrived in Colorado and began depicting the principal towns and scenes of Colorado with the mining processes used in the early days. 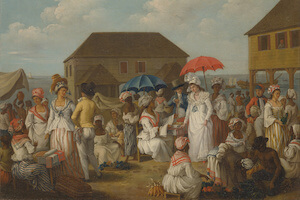 Emeric Essex Vidal was an English artist and sailor who published this important account of Buenos Aires after it was captured by Commodore Beresford in 1806. 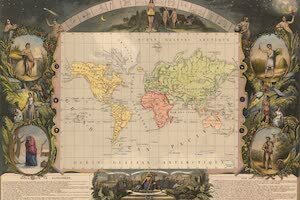 Francis Spilsbury's was an English naval surgeon who wrote an account of his travels in the Near East during the Napoleonic campaigns of 1799 and 1800. The first English translation of Gabriel Ludwig Lory's illustrated French publication, Voyage pittoresque de Geneve a Milan par le Simplon by Frederic Shoberl. 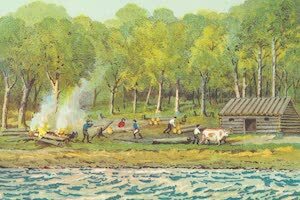 This important work by artist Joshua Shaw and engraver John Hill is one of the first colored views and descriptions of scenery in the early United States. A Spanish translation of Alexander Exquemelins De Americaensche zee-roovers, first published in Dutch, Amsterdam, 1678 recounting the history of the buccaneers. In 1859 United States Army Captain John Macomb led San Juan Exploring Expedition with the purpose of investigating still unknown lands in the American West. Henry Creighton was the Superintendent of an indigo factory at Gaur. While in the region he produced a collection of drawings and descriptions of the ruins. Raphael Semmes was the captain of the CSS Sumter and later the CSS Alabama which were two privateer vessels in the Confederate Navy during the Civil War. Edward L. Moss accompanied the North Polar expedition led by Nares, which was sent out for the attainment of the North Pole in 1875. Depicting beautiful scenes of the Pacific Northwest, this work was done by two undercover British officers investigating the border between Canada and the USA. Thomas O'Neill was a Christian missionary who published his account of the Victoria Nyanza Mission and travels in South Africa with colored illustrated scenery. This beautifully-illustrated work in color accounts for a six week fishing and camping trip from Bathurst along the Nipisaguit river in New Brunswick, Canada. 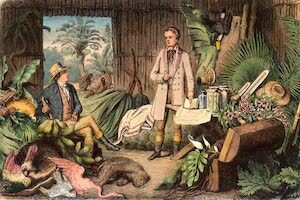 Henry Morton Stanley was a famous explorer of Central Africa who went on an expedition in search of lost missionary David Livingstone as well as many others. Henry Stanley was an explorer of Africa who led expeditions to locate David Livingstone as well as the Nile's source and the Emin Pasha Relief Expedition. This book is the creation of Dr. Thornton who gathered some of the best artists to create beautiful scenery views of plants as well as botanical information. William Clark spent 3 years in the West Indies on the estates of Admiral Tallemach. 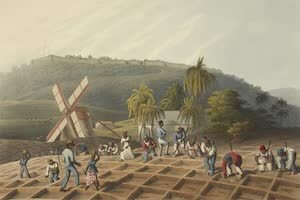 While there he made drawings of the process of sugar making on Antigua. 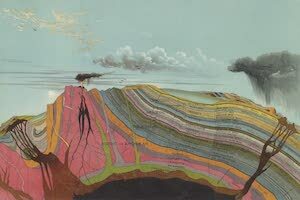 The atlas volume of Clarence Edward Dutton's famous publication of the geology of the Grand Canyon in the Southwest United States with maps and lithographs. The text volume of Clarence Edward Dutton's famous publication of the geology of the Grand Canyon in the Southwest desert of the United States with photographs. This important early American colored plate book by Wiliam Birch depicts country estates in Pennsylvania, Virginia, New York, New Jersey, Maryland, & Louisiana. A vividly illustrated collection of books related to the New World with stories of Columbus, Cortes, Pizzaro and others for the Columbian Exhibition of 1892. View images of a world long gone in this Santa Fe Railroad souvenir featuring colored pictures of Indian life, landscapes, railroads and more in the Southwest. George French Angas was an artist who spent two years in South Africa where he traveled making drawings of flora, fauna, scenery and cultures such as the Zulus. First volume of Edward Belcher's account of the Arctic Expedition aboard the H.M.S. 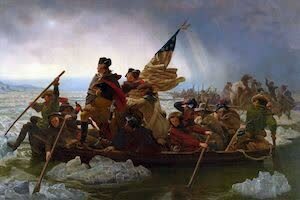 Assistance in the final British attempt to locate the lost John Franklin. Second volume of Edward Belcher's account of the Arctic Expedition aboard the H.M.S. Assistance in the final British attempt to locate the lost John Franklin. 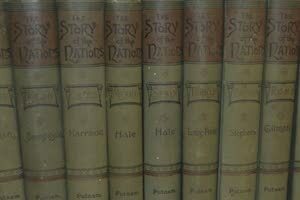 In September of 1909 explorer Robert Peary announced he had discovered the North Pole after his final expedition to the Arctic which is recounted in this book. A translation of Alexander Exquemelin's classic work on buccaneers titled "De Americaeneche zee roovers" with added illustrations by George Alfred Williams. In the late 1790s Capt. 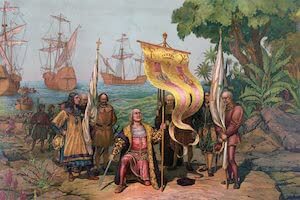 Joseph Skinner purchased a manuscript from a Spanish galleon that contained a detailed account of Peru with drawings he later published. First volume of Frederick Ross's work on the ruined abbeys of Britain which were abandoned following Henry VIII's acts to seize the assets of the churches. Second volume of Frederick Ross's work on the ruined abbeys of Britain which were abandoned following Henry VIII's acts to seize the assets of the churches. An early archaeological work about the city of Tiwanaku or Tiahuanacu in modern day Bolivia featuring descriptions and illustrations of the ruins and more. Lafayette Charles Baker was a member of the United States Secret Service during the Civil War who later published this account of the secret history of the war. This work is a supplement to the English edition of Exquemelin's Bucaniers of America, 1684. It contains the account of Bartholomew Sharp around Panama. 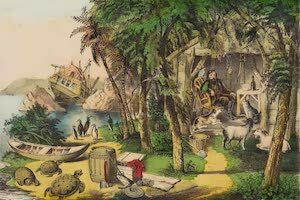 Henry Koster emigrated to Brazil in 1809, where he settled until his death in 1820. This important work was published during one his several visits to England. John Barrow served as comptroller of household to Lord Macartney's diplomatic embassy to China from 1792-1794 and later authored this work about his travels. First volume of William Caldcleugh's travels in Brazil, Buenos Ayres and Chili between 1819 and 1821 where he observed mines, cities, local culture and more. Second volume of William Caldcleugh's travels in Brazil, Buenos Ayres and Chili between 1819 and 1821 where he observed mines, cities, local culture and more. With the permission of Prince Regent, Dom Pedro, John Mawe visited the diamond mines of Minas Geraes and government archives. He later published this account. First volume of Sir John Barrow's account of travels and exploration in South Africa for the British illustrated with colored pictures and maps of the area. Second volume of Sir John Barrow's account of travels and exploration in South Africa for the British illustrated with colored pictures and maps of the area. 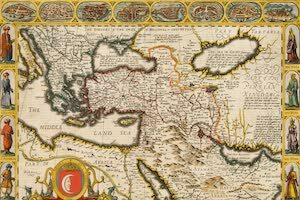 This illustrated book recounts Adam Neale's travels around Europe and Asia while a physician on duty with the British diplomatic mission at Constantinople. 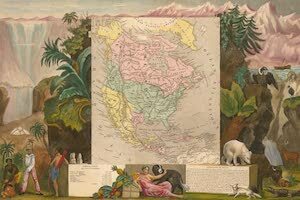 Under the auspices of the Royal Geographical Society Robert Schromburgk explored Equatorial America during 1835-1839. He later published this pictorial account. An attractive work featuring chromolithographs of North American birds in the United States by Alexander Pope with the text content written by Ernest Ingersoll. A Spanish translation of Carl Nebel's work on past and present Mexico titled Voyage pittoresque et archeologique dans la partie la plus interessante du Mexique. In 1861 Thomas Baines joined an expedition to the Victoria Falls in Africa, where he made a number of sketches and paintings later published in this book. While a lieutenant of the Royal Artillery, Captain Sir Henry Chamberlain visited in Brazil in 1819-20. 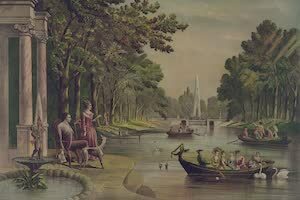 While there, he painted a series of views and costumes. While in Australia for forgery, Joseph Lycett painted and published these colored views of local scenery which are among the first depictions of the area. Luigi Mayer was an artist who accompanied ambassador Robert Ainslie around the Near East. He later published this book which contains impressive views of Egypt. 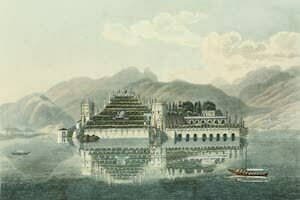 Edward Dodwell was an English archaeologist and artist who traveled around Greece making drawings of ruins and scenery that were later published in full color. 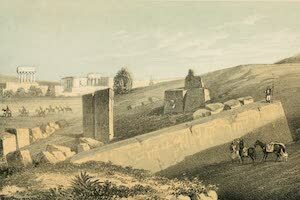 Luigi Mayer was an artist who accompanied Robert Ainslie around the Near East. He later published this book which contains views of Palestine and the Levant. Luigi Mayer was an artist who accompanied ambassador Robert Ainslie around the Ottoman Empire. He later published this book depicting scenery of his travels. Luigi Mayer was an artist who accompanied ambassador Robert Ainslie around the Ottoman Empire. This work contains colored illustrations of their travels. 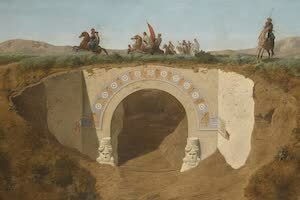 Frederick Catherwood accompanied John Lloyd Stephens on journeys to archaeological sites in Central America between 1839 and 1841. He later published this work. George Catlin was a famous American artist who published this illustrated and colored work about Niagara Falls. Contains bird's eye views of the falls and more. First volume of the atlas of Francis Granier's account of the French expedition formed by the Commission d'exploration du Mekong to explore southwest Asia. Second volume of the atlas of Francis Granier's account of the French expedition formed by the Commission d'exploration du Mekong to explore southwest Asia. First volume of the text of Francis Granier's account of the French expedition formed by the Commission d'exploration du Mekong to explore southwest Asia. Second volume of the text of Francis Granier's account of the French expedition formed by the Commission d'exploration du Mekong to explore southwest Asia. A vivid account of Waldeck's exploration in the Yucatan and illustrated with lithographs of the inhabitants as well as some of the antiquities he collected. The Suez Canal opened under French control in 1869 with much pomp and circumstance. A lavish ceremony held by Khedive Ismail included other leaders and more. A beautifully illustrated book based on the watercolors Edouard Riou made during celebrations at the opening of the Suez canal in October 1869 in Egypt. 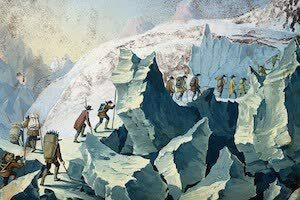 Louis Choris was appointed the official painter on a three-year scientific expedition led by Russian explorer Otto von Kotzebue in 1815 that circled the world. Emmanuel Domenech was a French missionary and author who spent many years in the expanding territory of the United States including the American Southwest. The Exposition Universelle of 1889 was a world's fair held in Paris, France in 1889. It was held during the 100th anniversary of the storming of the Bastille. An album illustrated throughout with twenty-one architectural views of Prague each hand-colored and highlighted. Rare work with no text or description. 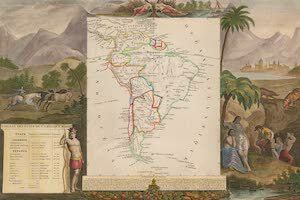 Alexander von Humboldt traveled extensively in the Americas between 1799 and 1804, exploring and describing them for the first time from a scientific angle. 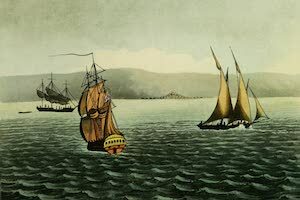 A very fine album of hand-colored views from Kotzebue's voyage of 1815-1818, originally published in parts by Louis Choris. Includes scenes around the Pacific. 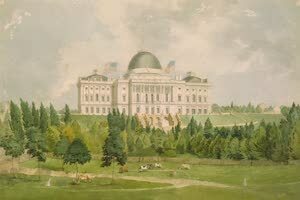 An album of twelve colored views of historical New York City in the early days from reproductions of works held in the New York Public Library collections.